To make this patriotic vase, all you need is some type of container you'd like to recycle and some patriotic colored ribbon, fabric, paper and embellishments. I had a small peanut container to reuse. You could use a tin can or even something like a Pringles container. 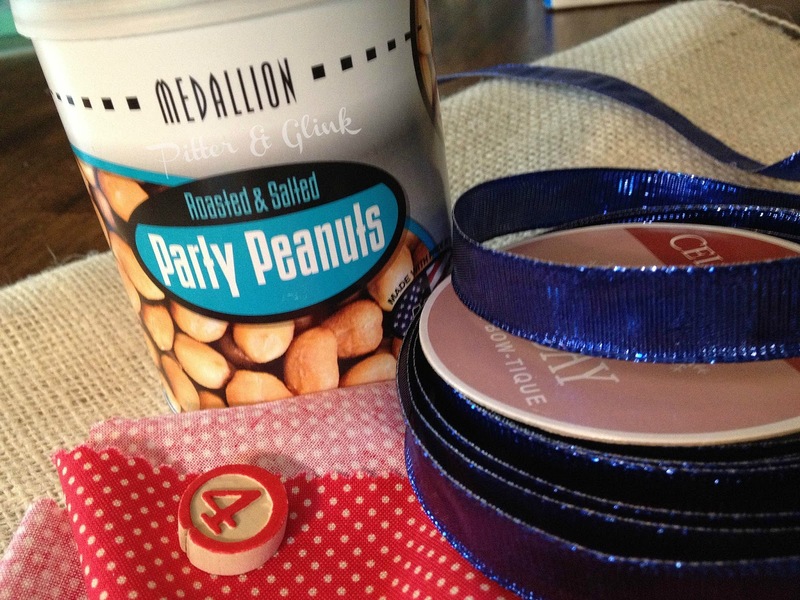 I also pulled some ribbon, fabric, and an embellishment from my craft stash. Once you have all the supplies, you can transform your container in three easy steps. 1. Cover the outside of your container with paper using double stick tape. I simply used brown craft paper, but scrapbook paper would look pretty too. 2. 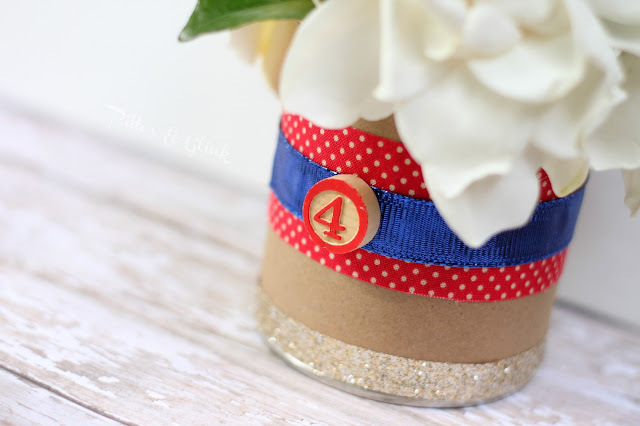 Attach ribbon and fabric to your container with hot glue. 3. Attach some type of embellishment as your finishing touch. 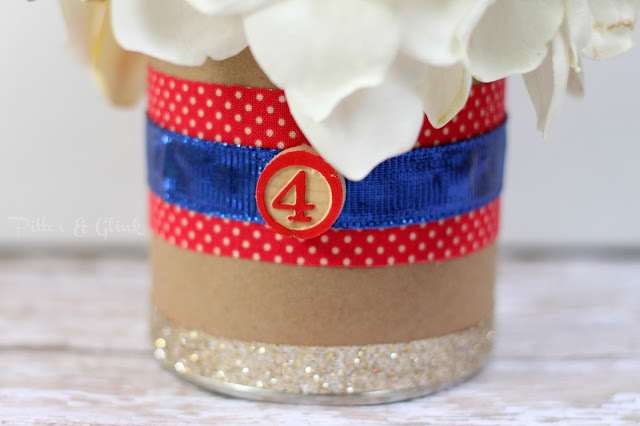 I had a wooden scrapbook embellishment that I thought was perfect for the FOURth of July. :) Then all that's left is to add flowers. 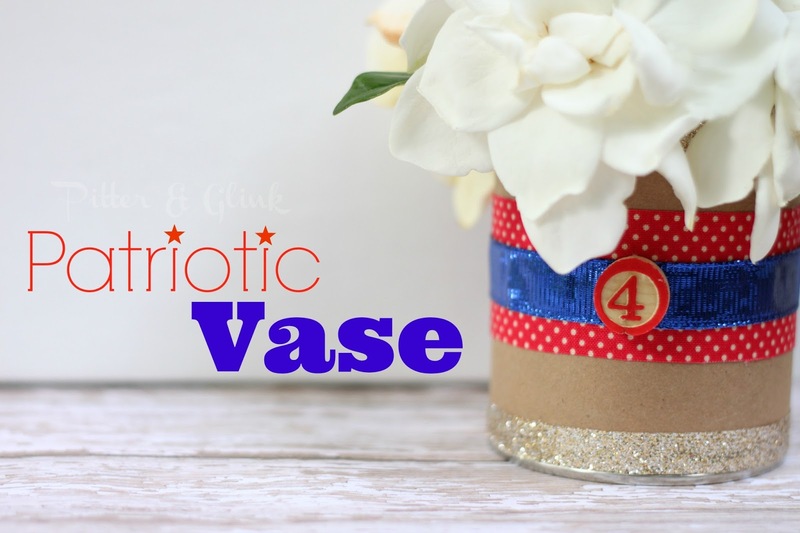 Your decorated container doesn't just have to be a vase. It would work great as a silverware holder too! Before you throw away a container, take a good look at it to see if it's something that you can make into a festive piece of decor for your next get together. cute idea! I bet those gardenias smell delightful besides! Sweet!! I love the 4 embellishment!! Great little idea!! Love this, especially the #4. This is adorable. I love recycling and coming up with cute ways to display! You nailed it.